Several of the schools of instruction have been completed and the rest should be done this month. Something that was done differently was I demonstrated the floor work for the ones that requested it. I had many comments last year about the poor floor work at many Granges. I hope this helps. I also went over some of the laws of the Grange that some Granges are forgetting. Now that many Granges have new officers it is necessary that they learn their responsibilities and read the digest of the Grange. Once all the schools are done I will meet with the Deputies and evaluate the process. Its time to see if this is the best method to educate the members of the Grange. 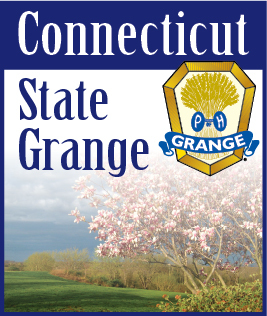 I still rely on feedback from the officers and members of each individual Grange. Because of the time that I write this article, the results of the Northeast Leaders Conference, held in January will not be published till March. The same for the Masters Conference that Sister Marge and I will attend this month. Those results will not be published till April. I know this seems weird but I will be writing the March article before I go to the February Masters Conference. By the time you read this article the Blue Books and the State Directories should all have been distributed. If your Grange hasn’t received theirs contact your Deputy. You have heard it from me many times but once more is not going to kill you. Please go over these books and make your members aware of the programs the committees are running and their due dates. It seems the response to some programs is declining. I do not believe this is due to the program but to interested members not knowing about them untill to late. It won’t hurt to discuss the Blue Book at one or more of your meetings. I know that it is cold and snowy this time of year but I hope these conditions will not keep you from attending meetings. A Grange needs activity to stay alive and participation in local, state and national programs will keep your members active. Above all do visit nearby Granges. They will love to see you and you will enjoy the friendship of their members. I know your Grange appreciates it when others visit you.